Here I sit, the keeper of five horses, and my biggest wish is for another one! Feel free to send a “WTF?” in my direction. On some levels, it’s certainly a crazy idea – but on another level, I cannot think of another answer to my conundrum. It has been nearly the better part of a decade since I was riding with any regularity. In the middle of that period, I made the decision to get serious again, and had a few months to reconnect with Nash. It was glorious to return to the saddle, and find that we easily renewed our partnership. Neither of us was fully fit, but that seemed our only challenge. Each session felt better, and I was rediscovering the joy of riding! Then, everything fell apart. Not long after winter hit, Nash separated his pelvic floor, and we faced a year for recovery. During that year, Coffee came on board, but his training was more challenging than I’d imagined. Tally went off to get started, and came home ruined. The next year Nash’s recovery was set back by hoof ailments arising from such a long stall rest. Coffee tried one too many sliding stop, while playing with Noble, and ended up with a hock injury. Tally started her long road back. Last year started with two foot fractures – mine, this time. When I finally was ready to get back in the saddle, Nash had lost sight in one eye. Then Tally brought everything to a halt by literally breaking my back. Now I find myself with a still very green Coffee, Nash not adjusting to life with only one good eye, Tally still months from being rideable … and me itching to be back in the saddle. Poor Coffee tries to understand the minor shifts of my weight, as I try to get my seat back. He’s a good soul to put up with me, but I don’t want my lack of riding condition to negatively affect his training and attitude. So, I find myself wishing for a good solid citizen that I can climb on and just go trotting off. Someone uncomplicated upon whom I can focus on my balance and let my muscles remember how to form around a horse. Someone we could throw in the trailer, with Coffee, and go to one of the parks nearby – and know it will be no big deal. Someone who has been there, and done that … who I can climb on after work, when I’m too tired to do a serious session, and just want to go for a long walk. It’s not that I don’t love my herd – I do! It’s not that I want to give up on some of my aspirations – I don’t! But I will not do any of the greenies any good if I cannot first just ride! In the past, when I had green horses to train, I always had at least one solid horse to keep my finer skills honed, my brain refreshed, and just enjoy the feeling of being in the saddle without having to think! I miss that mental balance. But more than anything, last year’s injuries left me weaker than ever – and even challenged in physical balance. If I can’t get riding fit, then I’m not fit to ride the greenies. A friend thought she’d have a horse for me to lease, but then a Pony Clubber came along. I am not one to stand in the way of the next riding generation! So, I’m left contemplating other options. Another horse is certainly the last thing I need, especially knowing that it’s usually “for life” with me. I long for the good old neighborhood riding academy – a place with reliable lesson horses where you could go round and round the ring with other riders, practicing your position while the instructor shouted instructions from the center. Sadly, riding academies are a dying breed. Those with lesson horses are rare – and with reliable lesson horses even rarer! I’ve put the word out with friends, and who knows what answer fate may bring me. In the meantime, I’ll keep enjoying our little herd, with the occasional imposition on our little Coffee, hoping I do more good than harm. This entry was posted in My Journey and tagged Coffee, finding balance, getting back in the saddle, Horse training, Nash, riding, riding academies, riding fit, Tally. Bookmark the permalink. 5 Responses to My kingdom for a horse! What a terrible line of calamities! I sympathise with your plight. 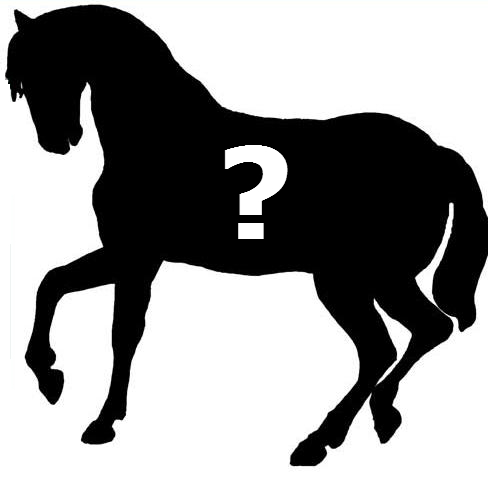 Why is it so hard to find the right horse, one that is not only kind and appropriate to skill level, but one that is kind and safe? I have noticed that it is far more difficult to find a kind, sane, easy going horse today than it was decades ago. Probably many different reasons, but as I look for a calm, trail-safe horse, I feel bad for anyone trying to learn from the beginning – no longer having access to the good old lesson horses from when I was a kid. Neh. Buy one to ride. And then there’s nothing wrong with selling one to a good home down the line. Would not mind finding a solid trail horse, Elinor – especially since neither Nash nor Tally will ever be that, and Noble is several years away from it. Coffee is great out, and mom and I would love to get back to some weekend trail rides. Fingers crossed, I’ll come across something good!